It is an extremely exciting experience to get a newer vehicle and when you want a Hyundai, you are going to see that Carson Cars will have all of the pricing and selection that you are hoping for. In order to get the right price on used Hyundai cars for sale in Shoreline, you will see that this is the dealership that will help you to have the best chance at buying happiness. Stop by today, take a few different Hyundai cars for a test drive and once you fall in love with one, you can sit down with our finance team to learn all about the options that you have for loans. We will stop at nothing to make sure the you are able to get financed so that you can drive away in a new to you vehicle. If by some chance we are unable to secure a decent loan, we will pay you $500 for all of your troubles. How is that for confidence? First time buyer, poor credit, military, student… no matter what your situation may be, we are excited to work with you so that we can get you the deal of a lifetime on a quality used Hyundai car. We invite you to stop by today so that we can show you why we have such a long line of happy customers that like to come back and shop with us for each newer vehicle purchase. 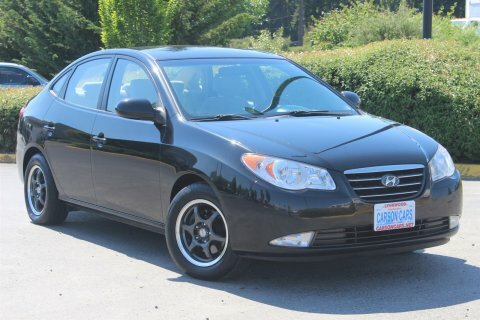 Carson Cars has a large inventory of used Hyundai cars for sale in Shoreline. Call (855)583-9356 for inventory and financing information for cars and SUVs. Our team is waiting to talk with you about your next vehicle purchase and we are ready to make a deal.